The Medici effect is a simple concept that can be fostered to improve the culture of innovation. 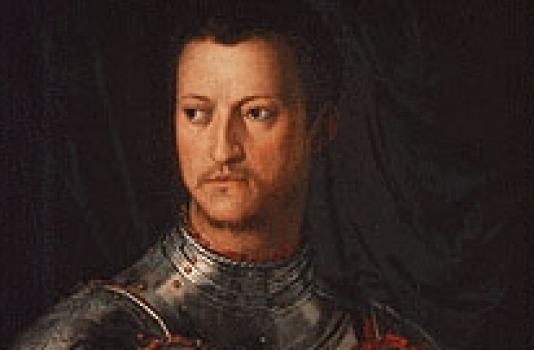 The legendary Medici family of bankers and politicians in late medieval Italy were known for overseeing one of the greatest periods of creativity and prosperity in history. They sought to bring together different walks of life by holding events that mixed up businessmen with scientists and artists – a practice that underpinned the creative explosion that was the Renaissance. The powerful insight is that new ideas occur at the intersection of disciplines where available knowledge is recontextualised. They tend to be surprising, take us in new directions and can open up entirely new disciplines. A celebrated, modern example that illustrates this idea is the design of the Apple Macintosh. Steve Jobs credits his study of calligraphy at Stanford with providing the impetus for his lightbulb moment that made computers more user friendly. Innovators like Jobs are willing to spend time in unrelated fields, seemingly wasting time, to satisfy their curiosity. In all the talk about how Australia can boost innovation, rarely are there broader efforts to incorporate the inspiration of the Medicis into our national intellectual culture. But it is all the more important today because we live in an age of hyper-specialisation. Many of my colleagues in medicine work on a single organ or joint in the body. And the worldviews of more and more of us are becoming tribalised through social media. Australia’s education system also has a vocational focus, particularly at university level. Unlike colleges in the United States, where most students live on campus, universities do not have a stated aim for building character. In Britain it is more common to have studied an unrelated course like history or the classics, but still work in consulting or investment banking. There is a greater acceptance that critical thinking is a strong base for further technical learning. This broader education also encourages a natural tendency to break out of knowledge silos. Things are changing. Sydney University offers a new degree combining facets from engineering to linguistics which offer an unprecedented variety aimed at a rapidly changing economy. And more companies like Accenture opt for a policy of recruiting graduates for their foundations in critical thinking alone. The companies that have won The Australian Financial Review’s Most Innovative Companies awards always describe an outward-facing approach when considering new ideas. Three in four of the employees who work for them report seeking the views of people and organisations different to themselves. This is a version of the Medici effect, but the concept can be applied more broadly. Individual creativity is derived from the synthesis of left and right brains, achieving a resonance between our technical aptitudes with the lateral, creative aspects of the right brain. The modern economy shows that having merely technical skills places you at risk of being outsourced. But soft skills alone are in great supply. It is those workers with a strong mix of both – naturally combining both sides of their brain – that are the most valuable. Indeed the rise of artificial intelligence will force us to consider exactly what our most sophisticated, irreplaceable skills are. We are quite used to philosophy or religion asking the eternal question of “what are human beings for?” But the rise of machines that can think like us – and in some ways even better than us – now poses this question with a much greater practical urgency. This promises some techno-utopia – that AI might free us to be our most sophisticated selves. But applying that individual creativity at a collective level is going to depend upon greater cross-pollination between intellectual disciplines. Australia holds great promise as an innovator nation. We have already contributed great inventions, varying from Wi-Fi and Cochlear implants to the wonder psychiatric drug Lithium. And we have much in common with Israel, the country with the most patents per capita. 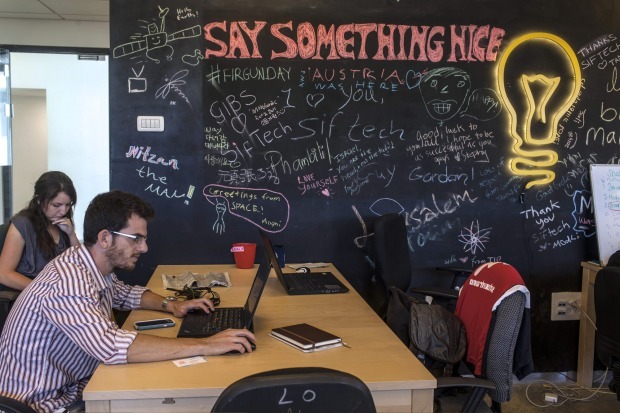 In their landmark book Start Up Nation, the authors Dan Senor and Saul Singer cite features such as an egalitarian culture, a multicultural workforce and distance from key markets as the drivers of Israel’s success. Australia may not share the entrepreneurial spark associated with frontline states in difficult neighbourhoods (a feature of both Israel and Asia’s tiger economies in earlier decades) but we do share many of the other things. There is no question that a host of other technical and bureaucratic elements are critical to making Australia more innovative, varying from greater business investment in research to attracting the world’s best talent. But an approach led by government and transmitted through our educational and social systems should have the aim of encouraging a culture of seeking alternative outlooks from occupations and disciplines quite different to our own. It could be backed by the Medici Fund.